When you're looking for a golf club and driving range that stands out from the rest, Smithfield Golf Club is the course to visit. Our mission is to keep golfers happy from the first to last hole by providing an exceptional golf course that amps up your game while ensuring a great time. 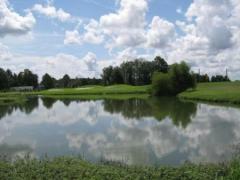 Contact us today to ask about memberships and tee times at our one-of-a-kind golf course. With large practice facilities and a full deli, you'll be left wondering why you didn't step up to the tee before! Part of our large practice facilities is a driving range that is located on 10 acres. 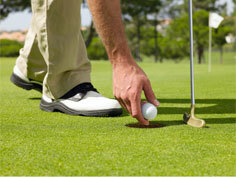 We rent out 40 balls for a fee so you can practice your swing before hitting the green. Sign up as a member at our golf course and enjoy incredible benefits each time you visit! Four memberships are available including Individual, Family, Senior, and Student packages, so stop by today and find out which membership is the best for you! Take a trip to a golf course and driving range you'll never want to leave by visiting us today in Statesboro, Georgia.